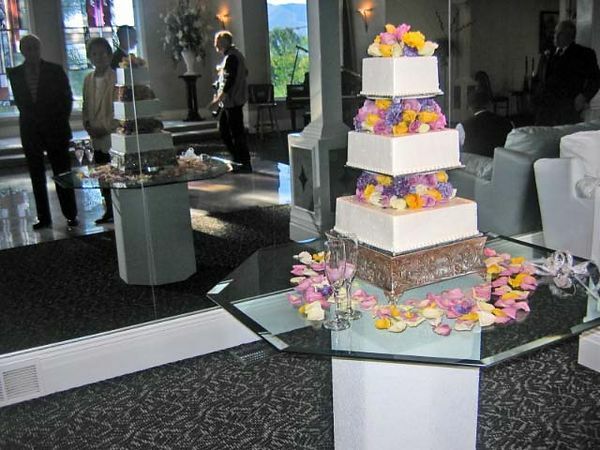 Wednesday, September 22, 2004, Millennial Falls Reception Center, 12374 South 1300 East, Draper, Utah - Amanda Talbot and Steven Willis Rich's stunning wedding cake. Note beautiful mirror behind. Kent's cousins from Bountiful are reflected there. This is an elegant place!